1. Huawei P30 Pro has Chipset of HiSilicon Kirin 980 (7 nm). 2. This Huawei Model has contains three Network Technology there are GSM, HSPA, LTE. 3. They have contains 3 brands there are 2G bands is GSM 850 / 900 / 1800 / 1900 - SIM 1 & SIM 2 (dual-SIM model only), 3G bands is HSDPA 800 / 850 / 900 / 1700(AWS) / 1900 / 2100 and 4G bands is LTE band 1(2100), 2(1900), 3(1800), 4(1700/2100), 5(850), 6(900), 7(2600), 8(900), 9(1800), 12(700), 17(700), 18(800), 19(800), 20(800), 26(850), 28(700), 32(1500), 34(2000), 38(2600), 39(1900), 40(2300). 4. Speed is HSPA 42.2/5.76 Mbps, LTE-A Cat21 1400/200 Mbps and this modal contains both GPRS and EDGE. 5. They have the dimensions is 158 x 73.4 x 8.4 mm (6.22 x 2.89 x 0.33 in) and weight is 192 g (6.77 oz). 6. Sim Type is Single SIM (Nano-SIM) or Hybrid Dual SIM (Nano-SIM, dual stand-by) with IP68 dust/water resistant (up to 2m for 30 mins). 7. Huawei P30 Pro has the display type of OLED capacitive touchscreen, 16M colors. 8. This model has a size of 6.47 inches, 102.8 cm2 (~88.6% screen-to-body ratio). 9. It has the Resolution of 1080 x 2340 pixels, 19.5:9 ratio (~398 ppi density) with HDR10, DCI-P3. 10. Huawei P30 Pro has the OS of Android 9.0 (Pie) with EMUI 9.1. 11. CPU Model is Octa-core (2x2.6 GHz Cortex-A76 & 2x1.92 GHz Cortex-A76 & 4x1.8 GHz Cortex-A55) and GPU is Mali-G76 MP10. 12. Memory slots are Internals have 128/256/512 GB, 8 GB RAM or 128 GB, 6 GB RAM, and Card Slot is NM (Nano Memory), up to 256GB (uses SIM 2). 13. Huawei P30 Pro has the Main Camera Feature is Leica optics, dual-LED dual-tone flash, panorama, HDR and Selfie Camera Feature is HDR. 14. Main Camera(Quad) Video Capacity is 2160p@30fps, 1080p@60fps, 1080p@30fps (gyro-EIS), 720p@960fps and Selfie Camera(Single) Video Capacity is 1080p@30fps. 15. This Huawei Model has Active noise cancellation with dedicated mic,32-bit/384kHz audio, Dolby Atmos sound. 16. Huawei P30 Pro has no Protection and Builds is not available for this model. 17. This Huawei Model has Sensors are Fingerprint (under display), accelerometer, gyro, proximity, compass, color spectrum. 18. 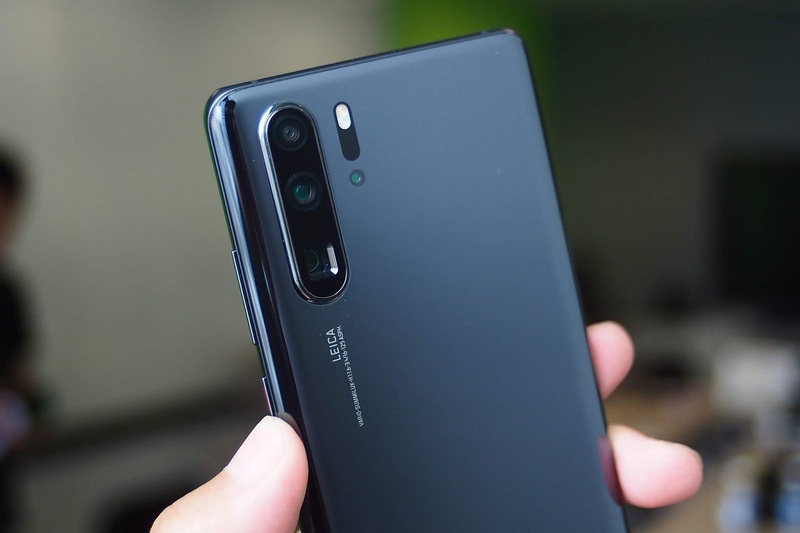 Huawei P30 Pro has contained Both Loudspeaker(stereo speakers) and Alert types are Vibration MP3, WAV ringtones but 3.5mm jack is not available for this model. 19. USB Port is 3.1, Type-C 1.0 reversible connector. 20. Bluetooth is 5.0, A2DP, aptX HD, LE and WLAN is Wi-Fi 802.11 a/b/g/n/ac, dual-band, Wi-Fi Direct, hotspot. 21. GPS is available with the type of dual-band A-GPS, GLONASS, BDS, GALILEO, QZSS and Infrared Port is available. 22. Battery type is Non-removable Li-Po 4200 mAh battery with Fast battery charging 40W (70% in 30 min),Fast wireless charging 15W,Power bank/Reverse wireless charging. 24. This Huawei Model has has the Browser Compatibility is HTML5. 25. Color Variants are Aurora, Amber Sunrise, Breathing Crystal, Black, Pearl White. 26. Huawei P30 Pro will Be Released in 2019, April.